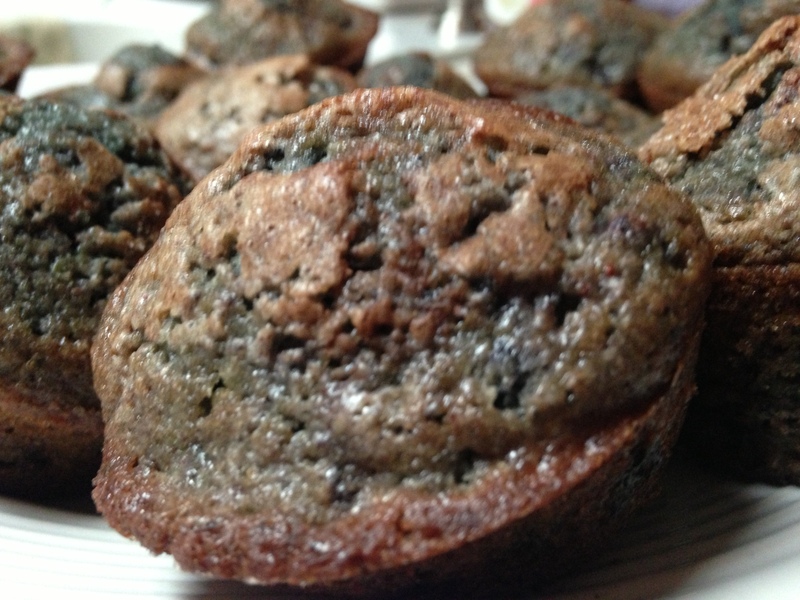 Yesterday I made Penne Pasta with home-made blueberry muffins. I realized I didn’t give the recipe yet for the muffins so I wanted to do that today. They almost looked burnt, but they aren’t. They are moist and delicious! Just add some butter and enjoy! 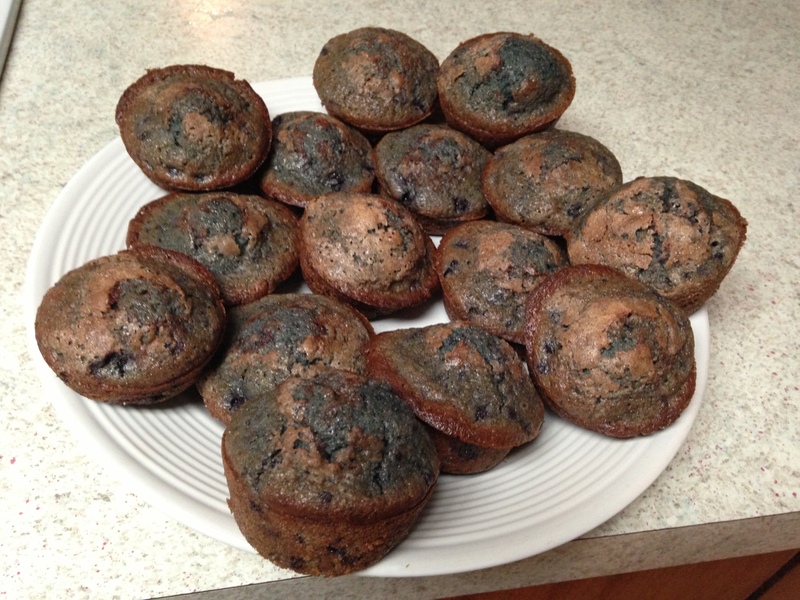 Directions1 Measure 3/4 cup blueberries and mash them with a fork and set aside.2 Cream butter and sugar with paddle attachment until light and fluffy.3 Add eggs,vanilla, baking powder and salt, mix well. 4 Add the mashed blueberries and mix on low. 5 Add half the flour,mix on low until combined well, mix in half the milk on low…add the remaining half of flour mixing on low…then end with the remaining milk still mixing on low until well blended. 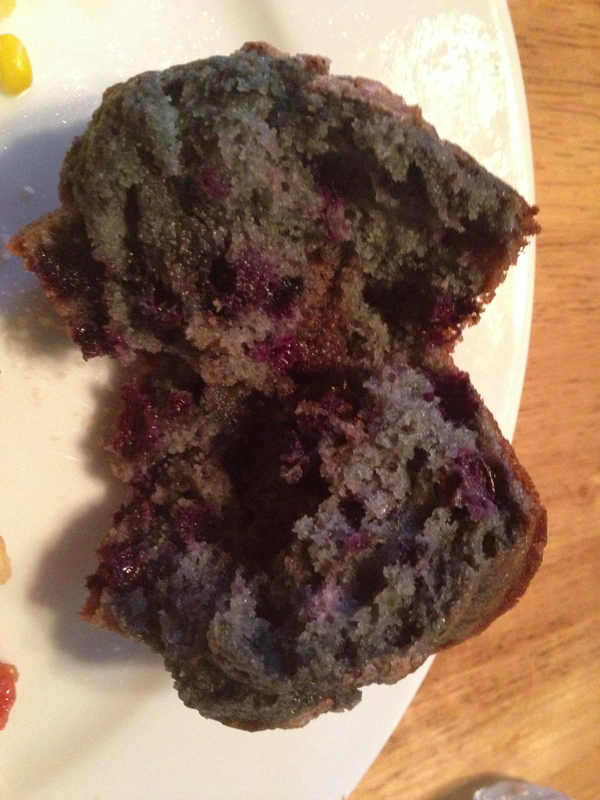 6 Fold in whole blueberries. 7 Scoop into prepared(either paper lined or spray with Pam) muffin pan. 8 Sprinkle tops with cinnamon sugar mixture. 9 Let rest about 5 minutes before baking. Bake for 25-30 minutes at 375(350 for dark pans). Let rest 30 minutes after baking and enjoy.